Caught out by Freshman Congresswoman Alexandria Ocasio-Cortez (D-NY), Secretary of Commerce Wilbur Ross refused to answer her question: Why are we violating the law? Washington D.C. – In a rare display of bi-partisanship last week, 12 Republicans joined 45 Senate Democrats by voting to end President Trump’s declaration of a national emergency at the Mexican border. Republicans who voted against the President were concerned with his abuse of presidential power. Trump promptly vetoed the measure, his first, and plans to use $4.3 billion Congress has allocated to other federal agencies to pay for his border wall. House Speaker Nancy Pelosi said she would schedule another vote next week but she is 45 votes short of a 2/3 majority needed to override Trump’s veto. Numerous states and groups are challenging Trump’s overreach in federal courts. Last week the Senate also voted to end support for the war in Yemen, which Trump said he would veto if the House passes it, and it probably will. The House also voted to obtain Robert Mueller’s report of Russian election interference and whether Trump was complicit in it. The President released his 2020 budget last week and it was not received well by members of Congress who are angry Trump is usurping their power of the purse to fund his border wall. In other news from Washington, hundreds of defendants charged with felonies for demonstrating against Trump’s inauguration on Jan. 20, 2017 had their cases permanently dropped by D.C. Superior Court Judge Robert Morin last week. “If you did not take a plea, your charges cannot come back,” said defendant Dylan Petrohilos. “Which shows the strength of collective defense,” he said. The judge’s dismissal did not affect those protestors whose cases already went to court and those who took plea deals. Hundreds of protestors marched in Washington last Saturday against U.S. interference in Venezuela. U.S. oil sanctions are costing the cash-strapped country about $30 million a day. The White House and some 50 other countries have condemned the government of President Nicolas Maduro, who was re-elected in May 2018. The opposition-led Congress recognized Juan Guaido as interim president in January. Guaido supporters were filmed burning trucks carrying food aid on a bridge separating Columbia from Venezuela last month. Mainstream press reports that blamed Maduro have since been discredited. Maduro has been selling Venezuela’s gold reserves to buy food and the U.S. has been telling Turkey and the United Arab Emirates to “just say No” to buying any more Venezuelan gold. All over the globe millions of school kids and their parents marched to change energy and economies away from fossil fuels to avoid the worse impacts of global warming and climate change. The Climate Strike took place last Friday in more than 100 countries and students from tens of thousands of schools participated. Davidson County schools were on Spring Break. Secretary of Commerce Wilbur Ross testified on Capitol Hill last week. He is in charge of the 2020 Census. For almost seven hours Ross prevaricated, avoided answering direct questions with a simple “yes” or “no”, and when pressed by Congressional members, said he would consult with his staff and get back to the committee. “I’m asking you,” said Elijah E. Cummings, Chairman of the Committee on Oversight and Reform. Ross kept repeating things he had already said and twice tried to wiggle out of tough questions by claiming the 5-minute question period had expired. 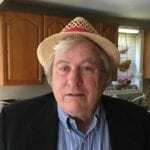 Several Democrats tried to pin Ross down and get him to admit he began efforts to add a citizenship question to the census shortly after he took office, and not months later, as he testified last year, when the Department of Justice sent him a letter officially requesting the question be added to the 2020 Census. Ross was slow to answer and frequently asked members to repeat their questions but he went on at length once he got started. Although he faced sharp questioning from Rep. Ayanna Pressley (D-Mass. ), Rep. Carolyn Maloney(D-NY), and Rep Rashida Tlaib (D-MI), they were unable to fluster the wily Ross. “I know you’re not here to answer questions.” said Rep. Jimmy Gomez (D-CA). “You’re just here to dodge and delay, and hide the truth,” he said. It was freshman Congresswoman Alexandria Ocasio-Cortez (D-NY) who took off the kid gloves. Ross told the committee his department complied with the 1974 Census Act in the way it went about putting the citizenship question on the ballot. 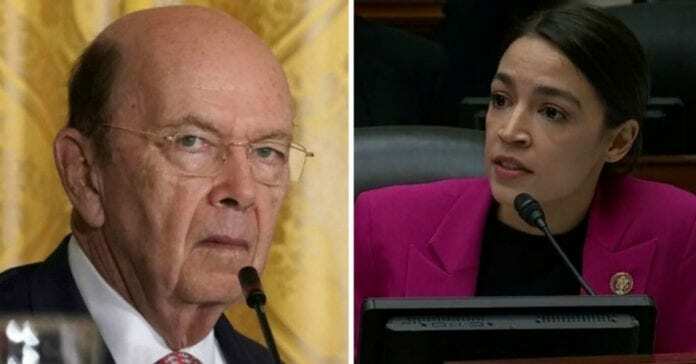 Ocasio-Cortez (AOC) held up copies of the proposed 2020 Census question and the 1950 Census citizenship question, noting there were substantially different. New census questions are vetted by experts and field-tested before they are added to a census. The Census Bureau must report to Congress before it can decide to add a new question. “Was that legally-required report submitted to us?” asked Ocasio-Cortez (AOC). “We filed the required report on March 31, 2017. We filed another required report on March 31, 2018,” said Ross. “I believe she is out of time,” Ross said. AOC kept going. “We are now in violation of the Census Act of 1974 that requires you to submit a specific report to Congress,” she said. She cited the chapter, section, and code of the federal law Ross violated by not informing Congress he intended to add a question to the census. Rep Cummings told Ross they were not through with him and will call him back if he doesn’t provide documents they have asked for.